Foreign takeovers of UK companies will be subject to additional scrutiny under a government proposal that makes it easier to block deals on national security grounds. The plans announced Tuesday make Britain the latest in a series of countries to pursue tighter controls on foreign investors amid worries that sensitive technology is being purchased by Chinese companies. The British government said the new rules do not target any particular country. But officials said the crackdown would increase the number of foreign deals that require intervention each year from one to roughly 50. The move follows increased investment from China, and several controversial UK projects involving firms from the country. China has ambitious plans to be a leader in areas like artificial intelligence and self-driving cars by 2025. Senior UK security officials warned last week of "new risks" stemming from the involvement of Chinese tech company Huawei in the country's telecommunication networks. Two years ago, security concerns were raised over a Chinese company's role in a nuclear power project. Chinese companies spent at least $21 billion in 2017 to acquire 36 UK businesses, according to Dealogic. There have been 24 such takeovers this year with a combined price tag of at least $4 billion. 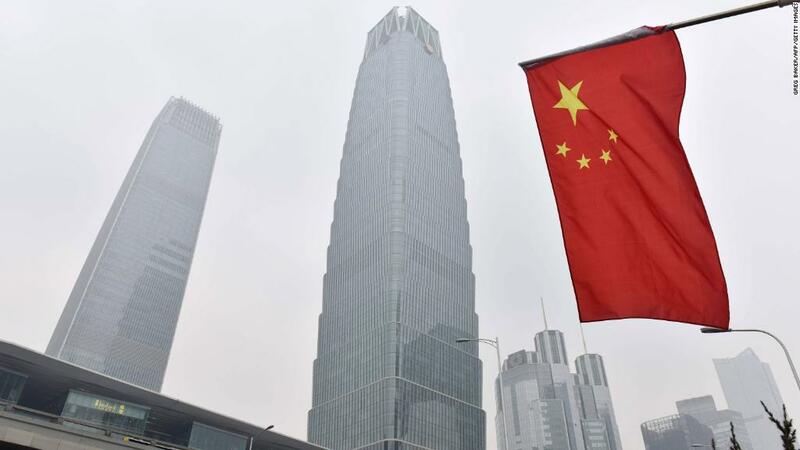 "The Chinese are large investors and they are looking at buying certain types of business, a lot in the technology space, so while it's not directed at China, it has implications for Chinese investors," said Marc Israel, a partner at law firm White & Case. In addition to takeovers, the new rules apply to foreign purchases of assets and intellectual property. There would be no minimum price tag, meaning all transactions could be reviewed on national security grounds. Government interventions would range from conditions being attached to a deal to its outright cancellation. Israel said the estimate of 50 such actions a year seemed "quite high" and "suggests [the rules] will have impact on investors." The proposed regime reflects the changing nature of national security threats. "Previously, it would have been a factory making a missile ... now, a lot of the transactions in this space are to do with technology or software," Israel added. The Trump administration blocked the takeover of US chip maker Lattice Semiconductors by a private equity firm with ties to China. It also killed a foreign bid for Qualcomm on national security grounds. The UK government will consult with businesses on the new rules before they are considered by parliament. Similar efforts are taking place across the world. "While the [foreign investment] screening mechanisms set up by countries such as Australia, Canada, China, Italy, Japan, South Korea, Russia and the United States vary significantly in scope, most of these countries have tightened their review schemes," said Anahita Thoms, a partner at Baker & McKenzie. The bipartisan Foreign Investment Risk Review Modernization Act is expected to be approved soon in the United States, tightening rules for foreign takeovers. The European Union has proposed tougher rules on foreign investment, and Germany passed new laws of its own last year. "There have been a number of large investments that have led to increased wariness, particularly by Chinese investors," Thoms said of Germany. "This has led to growing calls for improved protections of critical infrastructure."